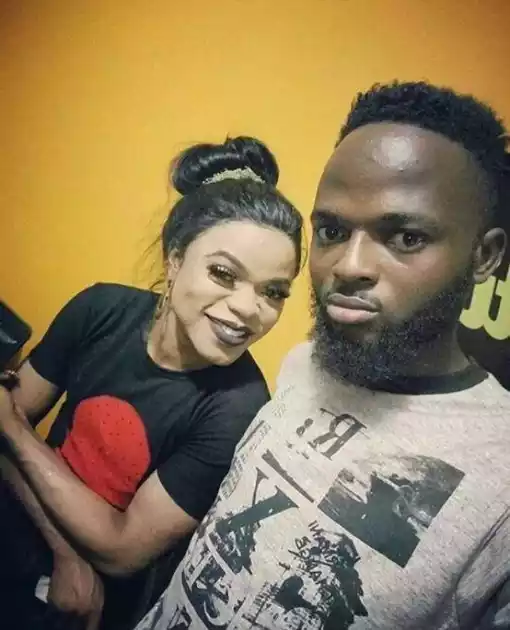 Male cross-dresser Bobrisky recently stepped out for an interview and as expected had to take some photos with a couple of his fans. For someone who hardly shares photos or ideas online without filter, he looked quite good in the photo taken with a fan. Guys, what do you think though?